The planter of no straight lines. Well, not a lot of straight lines, anyway. 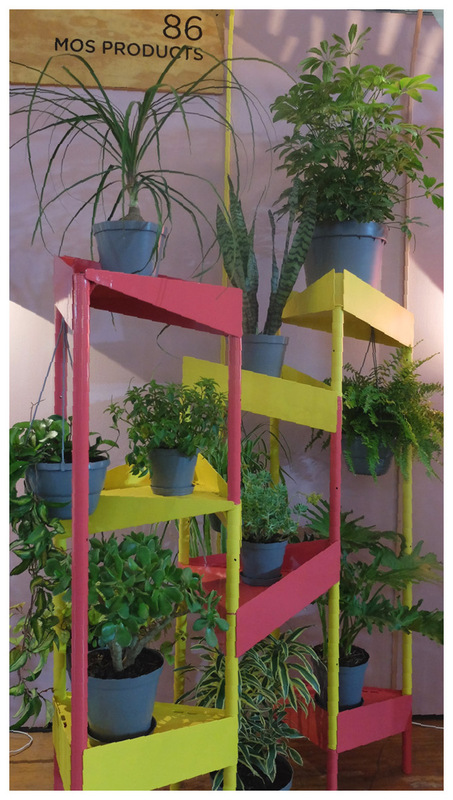 This modular, mobile planter can be built to suit any needs or space, long and low, tall and narrow, snaking through a space as a room divider. Colours ‘fracture’ the shapes and lines, framing the plants once the planter is in use. Easy to assemble in your chosen format.